This 2019 fundraiser event features our finest large ensembles, small chamber groups and a variety of student and faculty performers. Audience members get a small taste of every type of music from Opera to Jazz. 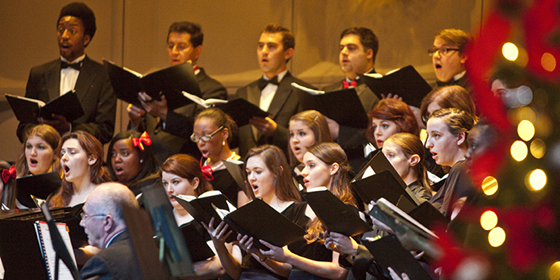 Both students and faculty are utilized in a quick-paced and seamless show. Individual concert tickets will be available for $25 at the door. Supporters can also choose a donor level (listed below) for additional benefits. All proceeds from this event will benefit our students directly in the form of scholarships and other program enhancements that will positively impact their learning environment. As a donor, you would be able to attend a special reception and have the opportunity to learn about the music program and meet some of our faculty and students. 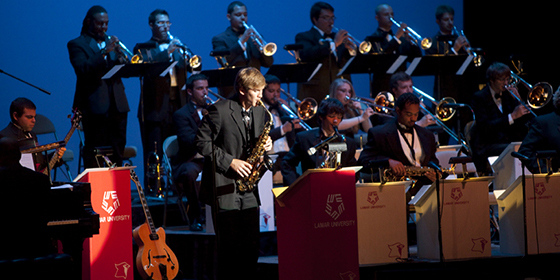 You'll also enjoy great jazz and classical chamber music provided by our talented students. 1 Donations must be received by January 21 for acknowledgement in the printed program. *Please indicate 2019 Music Collage in the memo line of the check. Tickets may be reserved by calling the Music office at (409) 880-8144 for pick-up at Will Call. on the day of the concert. The IRS has ruled that contributions to Lamar University are deductible as charitable contributions less any goods and services provided as defined in Section 170 (c) (1) of the Internal Revenue Code. Goods and services for this event are equal to $50 per person.